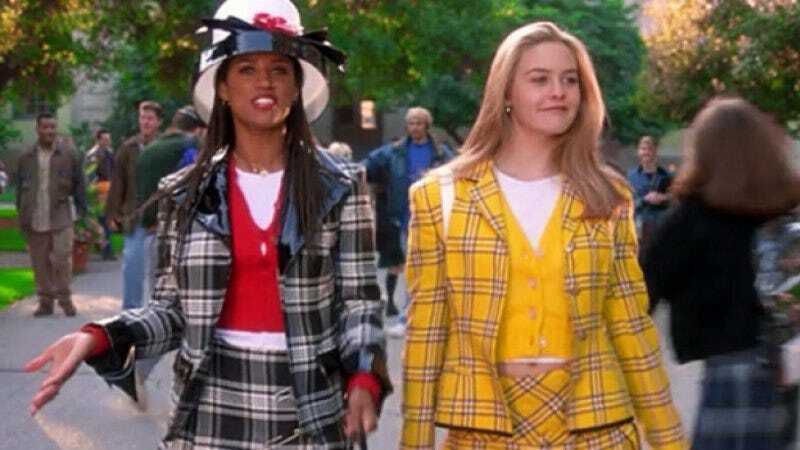 Now that the fashions from Clueless have gone from trendy to horrifying back to trendy again, it’s time to dust off the old girl, put her in a pair of platform go-go boots and a polka-dot crop sweater, and send her back out into the world. One way to do that might be a remake, but considering this generation’s Stacey Dash has yet to be found—and possibly because theater tickets are generally more expensive than movie tickets—director Amy Heckerling is turning her film into a musical instead. Heckerling, who previously adapted Clueless into a TV series that ran from 1996 to 1999, told Entertainment Tonight that she’s already written the book for the play. She also describes the stage version of Clueless as a “jukebox musical,” meaning that there’s a good chance theatergoers will be treated to a number where Cher and Dionne cruise down Rodeo Drive an a white Jeep as plaid-clad extras belt out Jill Sobule’s “Supermodel.” The mind boggles.